It’s time to save seeds for next year’s flower garden. These datura or Devil’s Trumpet seed pods will dry out and turn brown. That is the time to harvest them. 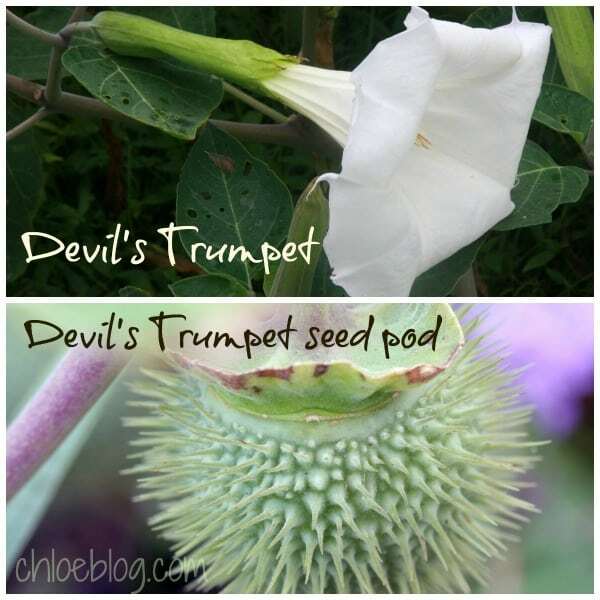 Georgia O’Keefe liked Devil’s Trumpet or Jimson weed as it is often called. To everything there is a season. It’s late September and, like clockwork, the flowers in the Big Mill garden are going to seed and then they will die. I will save the seeds, plant them next spring and these same flowers will live again. There is a real science to this seed-saving and though I actually understand it, I prefer taking the easy route — I save the same seeds my mother saved – seeds from heirloom or old varieties of annual flowers (flowers that must be planted every year). Many flowers are self-sowing annuals so they will “sow themselves.” I save these seeds anyway so that I can start them earlier or share with friends. What I marvel at is how these seem to have a mind of their own — they want to re-seed where they want to grow, not always where I want them. Seeds are ready to be harvested when they have dried on the plant. I gather them in the afternoon and spread them on a tray to further dry, keeping them separated. Then I store the seeds in paper envelopes with labels, put the envelopes into a glass jar or zip lock bag and keep this in a dry, cool and dark place till next spring. Here’s my list of seeds to save: cleome, zinnia, evening primrose, datura (Devil’s trumpet), helianthus (everlasting sunflower), bee balm, nasturtium, sweet pea and moon flower. And come next spring I will be glad I saved them – just a few seeds can cost $2. 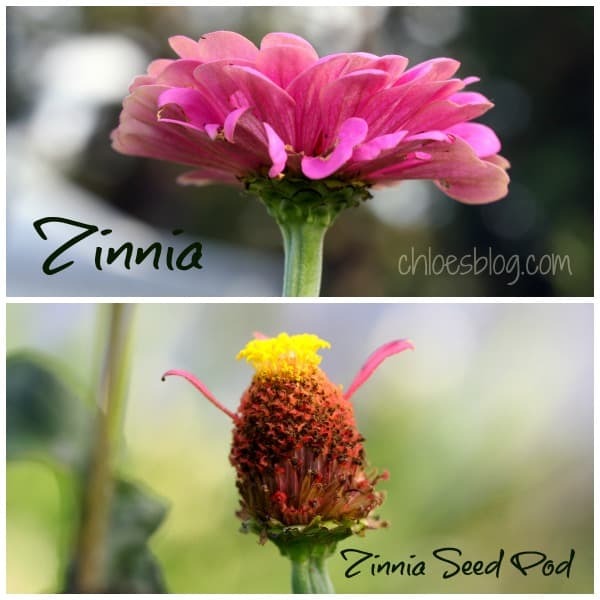 The zinnia flower head will get dry and turn brown. That’s the time to collect the seeds. 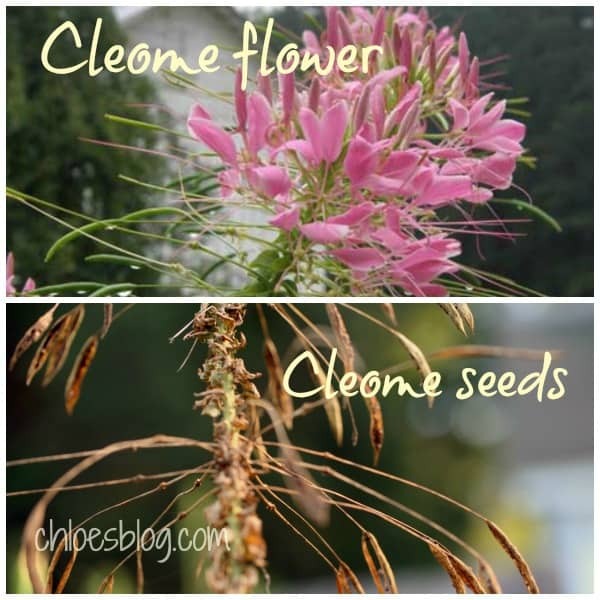 These Cleome flower seeds are ready to be harvested. 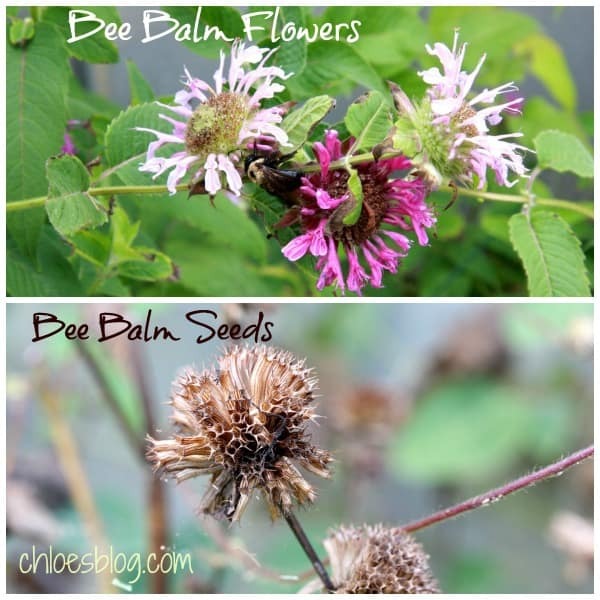 These Bee Balm seeds are ready for harvest. It just seems right to harvest these seeds. My folks saved many our vegetable seeds and even sprouts for next year’s Hayman sweet potatoes. Many of these seeds couldn’t be bought. So what seeds do you save from your garden from year to year? I’d love to know.